The Hollywood actor was spotted among the throng of celebrity guests at Jen’s birthday bonanza last weekend. After Brad Pitt caused a Twitter storm with his surprise entrance into ex-wife Jennifer Aniston’s 50th birthday bash last weekend – the real reason behind his invite has been revealed. Former Friends star Jennifer had thrown an epic shindig on Saturday night, inviting the great and good of La La Land to join in the celebrations. Rubbing shoulders with the likes of the Clooneys, Demi Moore and Gwyneth Paltrow was Jen’s ex hubby Brad – who she once memorably described as ‘missing a sensitivity chip’ following their split in 2005. But according to Brad’s pals, the one time Hollywood power couple are now back on good terms and aren’t afraid to hide it. A source claimed to The Sun : “Brad and Jen have stayed friends for a long time, but it was awkward for them to meet up when he was with Angelina and because no-one saw them together, people assumed they weren’t friends. They are. The pair were married from 2000 until 2005 and Brad went on to tie the knot with his Mr and Mrs Smith co-star Angelina, before divorcing her too. After her doomed marriage to Brad, Jen tied the knot again in 2015 when she wed Justin Theroux. However, that didn’t last either and they split in 2017. The former couple’s divorce is expected to be finalised this year. 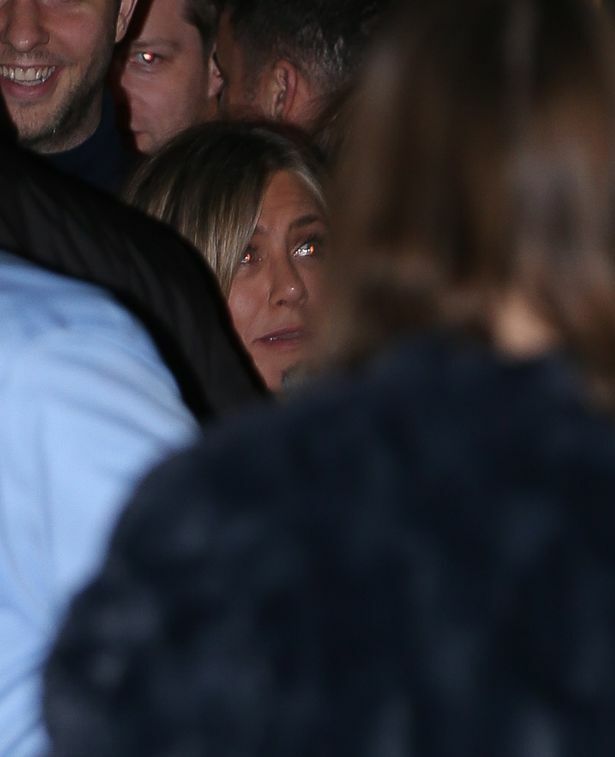 Unlike Brad, there was no sign of Justin at Jen’s 50th bash in Los Angeles. Sharing a black and white picture of Jen he wrote: “Happy Birthday to this fierce Woman.